The National Association of Consumer Bankruptcy Attorneys (NACBA) is honored to award the prestigious Henry J. Sommer Scholarship every year to an exceptional attorney who shows the same dedication of service to their clients that President Emeritus Henry J. Sommer (2005 to 2008 and Board of Directors member 1992 to 2011) gave to NACBA. This year NACBA is pleased to announce that Melissa Linville is the recipient for the 2018 Henry J. Somm er Scholarship. Melissa is a bankruptcy attorney at The Legal Aid Society of Columbus in Ohio and has been working in this role since 2012. She coordinates the Bankruptcy Pro Bono program and represents clients in-house. As the recipient of the scholarship, she will be attending #NACBADEN, NACBA’s Annual Convention held April 19-22, 2018 in Denver, CO. Melissa was chosen for her dedication to processing intake clients and recruiting and training pro bono attorneys for LASC cases, as well as her assistance to clients in filing Chapter 7 bankruptcies, foreclosure defense, debt collection defense, and other bankruptcy matters. “This scholarship is one that NACBA is proud to award every year. We are pleased to select Melissa Linville for the 2018 Henry J. Sommer Scholarship. We look forward to providing her the opportunity to enhance her profession in the public sector and connect her to NACBA’s vast network of consumer bankruptcy attorneys,” says NACBA Executive Director Dan LaBert. Melissa graduated from The Ohio State University Moritz College of Law in 2011. She has always wanted to work in the public sector. After three and a half years of piecing together various legal fellowships while working on the implementation and maintenance of a bankruptcy pro bono program, Melissa became a staff attorney at Legal Aid in 2015. 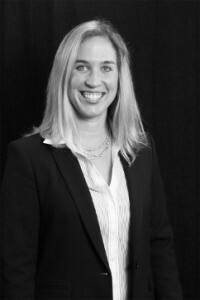 She enjoys working with the private bar and judiciary to continue to improve and grow the bankruptcy pro bono program. We can look forward to reading about Melissa’s convention experience in the Summer 2018 edition of NACBA’s Consumer Bankruptcy Journal.